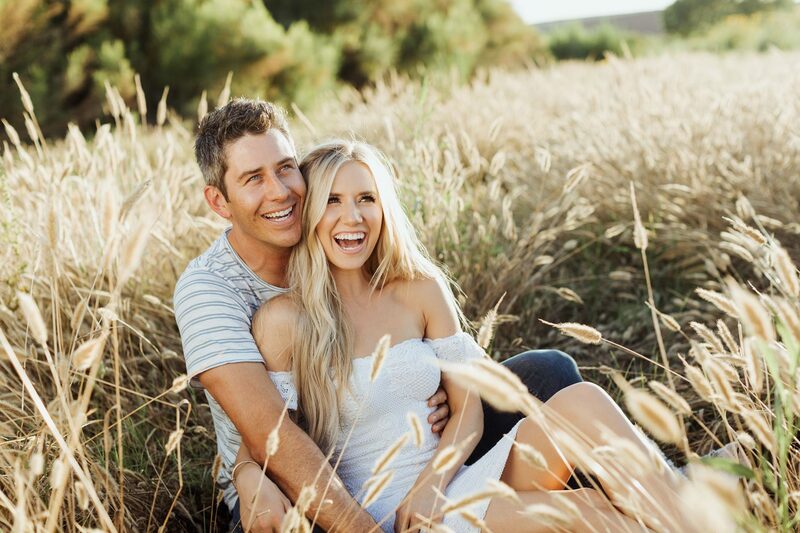 Bachelor Arie Luyendyk Jr. and Lauren Burnham had originally planned for a first look session, but instead, they saw each other on their wedding day for the first time just as she walked down the aisle. The result was rather emotional. Both the bride and groom shared photos from their Maui nuptials via Instagram this week after exchanging vows on January 12, at a converted, historic sugar mill in Hawaii. While they had planned for a first look, Luyendyk Jr. had expressed that he wanted to see Burnham as he awaited her at their ceremony. Burnham listened. Instead, she orchestrated a surprise for her to-be-husband by sending out his best man in a dress—with a beer in hand. The laughter turned to tears of joy when the season 22 Bachelor saw Burnham, who’s expecting their first child together, walk down the aisle in her Hayley Paige gown. “Really far away, with her dad, I just caught a glimpse of her,” Luyendyk told Us. “And as soon as I saw her I just started crying. I was trying to keep it together. The former race car driver-turned-sales executive took to Instagram to post a slideshow. “Moments we will remember for the rest of our lives,” he remarked. Be the first to comment on "Bachelor Arie Luyendyk Jr. Cried When He Saw Lauren Burnham Walk Down the Aisle"